Pankaj Kapur's directorial debut will be first premiered at Toronto Film Festival. It seems that Pankaj Kapur's directorial debut, Mausam is one of the most awaited films of this year. The buzz is that Mausam which brings to celluloid for the first time Shahid Kapoor and Sonam Kapoor will be first premiered at the Toronto Film Festival this year. The entire star cast and crew will be present at Toronto to celebrate the premiere which is likely to happen on September 16, the same day that the film hits the screens in India too. Pankaj and Shahid Kapoor are busy promoting the film all over. Gearing up for its release, the father-son duo are executing unique promotional plans. Only recently, they distributed a hand-written press kit. Let's wait and watch if this period love story will be able to write history too! Although Shahid Kapoor is safe in London, the riots have delayed the music launch of his next venture Mausam, also featuring Sonam Kapoor. The event was suppose to take place in Hyde Park in central London. Independence Day. The NRI population as well as Bollywood fans would have come to support the film. Shahid and Sonam were to perform live at the function." It was Shahid's idea as he is already shooting in London with Priyanka Chopra. "Shahid is already in the UK shooting for Kunal Kohli's next film. So, it would have been easier for him to ensure that all the coordination for Mausam's music release was in place," added the source. However, the riots played a spoilsport and delayed the launch. Now, the event will be held post Independence Day. 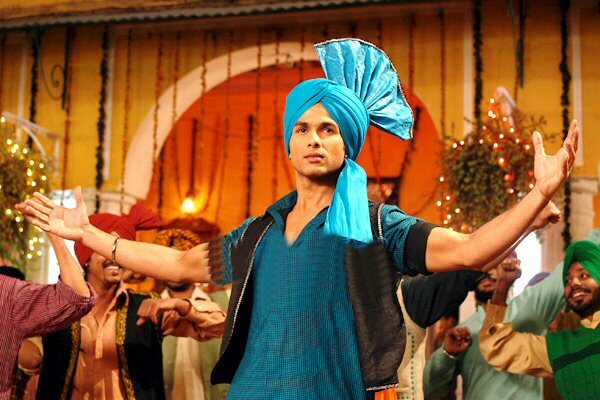 "Shahid is returning to the country on August 16. So he'll meet the producers and figure out an alternate date and place to launch the soundtrack in India," the source told the tabloid. The film is scheduled for a September 16 release.